Today is my daughter Scout's first birthday. 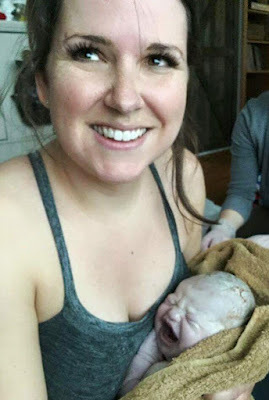 A year ago, my baby girl was born in the comfort of my home and in all of my hazy newborn fog, I still managed to write out her birth story. 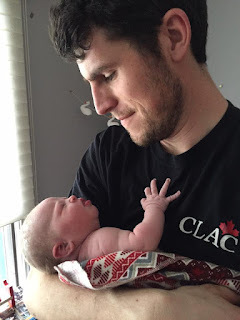 It's definitely wordy, so TLDR: I had a baby. Scout's due date came.. and went.. On March 10th (3 days late) around 7:30 in the morning, I felt some cramping that didn't feel normal. I went downstairs and told Joel that he should maybe wait to leave for work, in case this was labor. 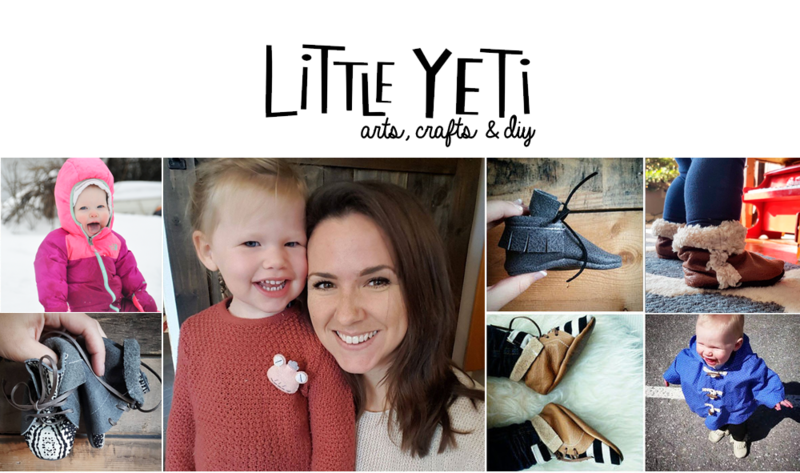 An hour later, I knew I was having contractions – they were happening every three minutes, lasting about 30 seconds, and were a mild to moderate on the pain scale. Joel paged the midwife and let her know what was happening, more as a “heads up”, but she said she'd come right away based on Juliet's birth. We also called Joel's parents to come over, as we wanted them there for the birth, and to help with Juliet while I labored. At 8:45, Wendy showed up and checked how dilated I was – 4-5 cm already. She said that things should be over quickly, probably within 2 hours or so. Contractions for this labor were much, much worse than with Juliet. I was feeling a lot of pressure in my back this time. A lot. Around 9:15, I moved up to our bedroom from the living room so that I could have a shower and watch a movie. The hot shower helped with the back pain so much. I stayed there until I ran out of hot water, and it was probably the saddest moment of my life. At 10:15 I was checked again, and I was 8cm dilated. I was pretty positive that this meant I would be pushing within the next hour or so. Joel put on a movie for me to watch, and I spent about an hour going back and forth between pacing, sitting, and showering in lukewarm water. Joel had the important job of heating up hot bean bags for me and holding them on my back (I'm not kidding, this basically saved me.) He was running downstairs every 10 minutes to heat up the beans or get ice water or lemonade or whatever else I thought would help. At 12:15pm, I was at the end of my rope and asked to be assessed again. My midwife and her student checked, and told me that I was still only 8cm dilated. My water hadn't broken yet, and it was basically blocking Scout from coming out. 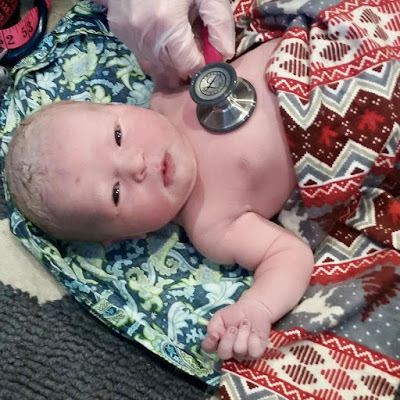 I asked flat out if they could just break the water, and they told me about some of the risks associated with it (if they were to break the water and there was any meconium in it, I would need to go to the hospital for assessment.) They gave me another option to help relieve some of the pain - to have sterile water injections in my back. They did 4 shots of sterile water into my back, which they said would feel like 4 painful bee stings. Honestly, the pain of those shots was the only thing that brought me to tears in both my labors combined. It was nightmarish. By 1:15, the only thing that had changed was that my back pain had lessened, but I still wasn't feeling like I could push. My water hadn't broken, and it was clear it was holding everything back. I called my midwives up to my bedroom and asked if they could break the water for me, and at this point they agreed that was a good idea and we got ready to do it. Having my water broken was the neatest part of the entire experience. I laid on my back on the floor, and Wendy waited for a contraction. When one came, she used a hook to break my water and it literally just... exploded. She told me the waters were clear, and then said to brace myself because it would be time to start pushing any minute. By 1:30 I was ready to push, so we moved back downstairs to the living room. I gave birth to Juliet in my living room too, and it's definitely where I feel most comfortable in my house. I got ready to push, and heard the midwives asking Joel if he wanted some gloves - Joel had asked if he could catch Scout when she came out! At 1:45 I started to actively push. It only took 2 or 3 pushes, and at 1:54 Scout was born into Joel's arms with his parents and our then 2 year old daughter Juliet watching. He handed Scout to me, and I have never felt such relief in my life - to be finished with this exhausting pregnancy and labor, and to meet my new girl. The midwives immediately said how big she was (9 pounds!) and that she was an OP baby, which means that she was back to back with me and facing the wrong way (this is why my back pain was so strong during labor.) This explains why I was in so much more pain than I had been with Juliet. When Scout was born, a lot of people asked how Juliet reacted to seeing her sister being born. Really, she seemed rather indifferent. She watched the whole thing from only a few feet away, but she didn't seem particularly horrified or interested or anything. For her, it was just another thing that happened in our house that day. When you deliver a baby at home, you're left with your placenta. It's kind of bizarre. With my first home birth, they just said "where should we put it?" and I remember thinking "Ehh.. you don't TAKE it with you?!" We stuck it in the freezer and a day later I ended up donating Juliet's placenta to a dog search and rescue group in my city that uses them to train the dogs on how to find human organs. After Juliet's birth, I was all kinds of emotional, so this time I decided to try placenta encapsulation. Everything I've read about it says that it helps with postpartum emotions, as well as milk supply, energy, etc. 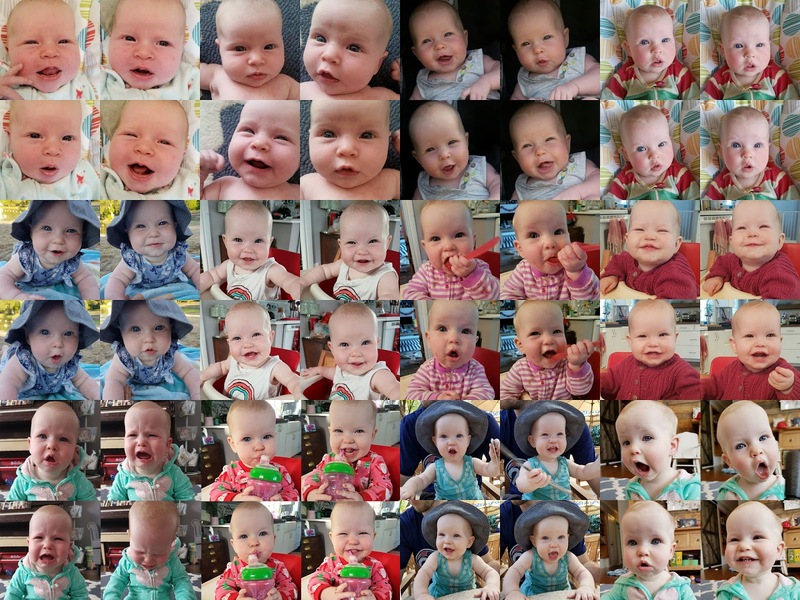 Scout's appearance into the world a year ago was wild and painful and not at all what I had expected, but I am so happy with my home birth experience. 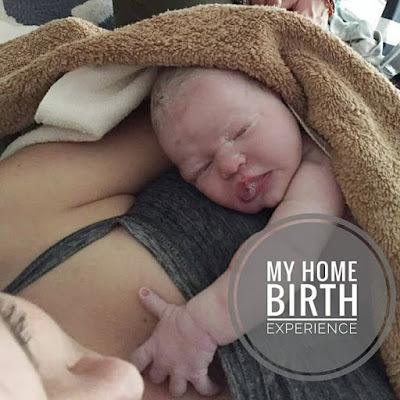 We have been fortunate to have two home births with no complications, and I really can't recommend a home birth enough to others who have healthy pregnancies. It's such a sweet, comfortable way to bring a baby into this world!